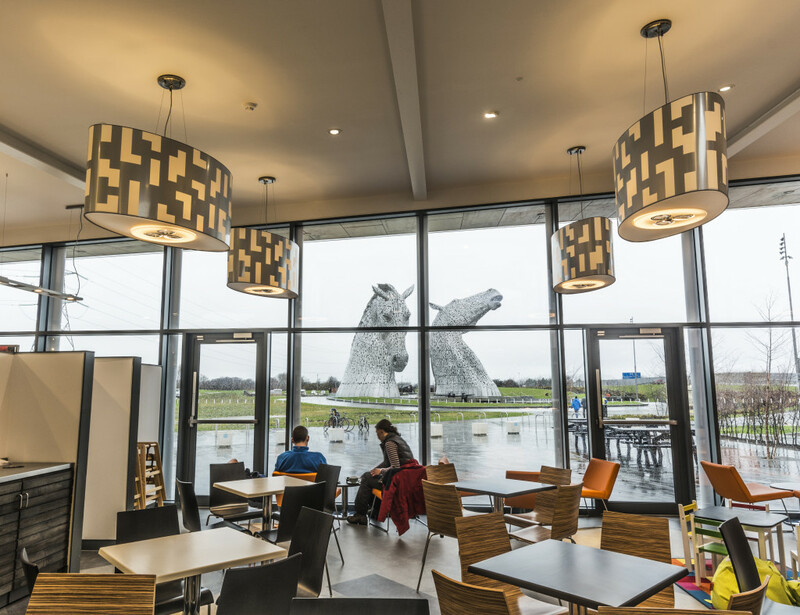 The lighting layout within the Kelpies Visitor Centre is made up of 3 distinct zones. 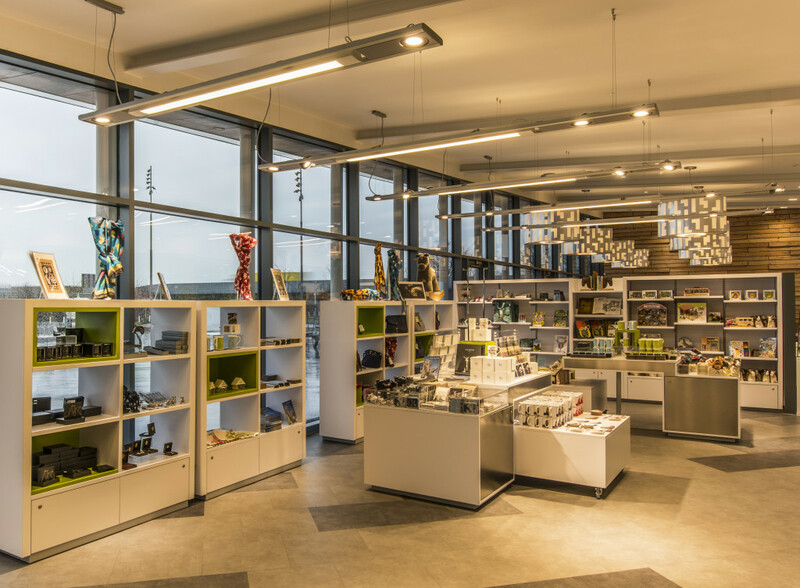 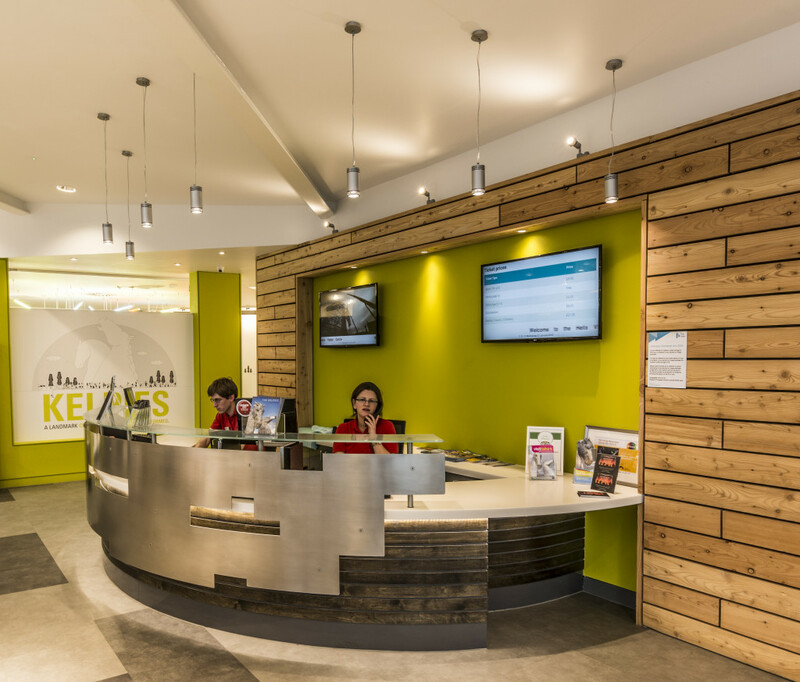 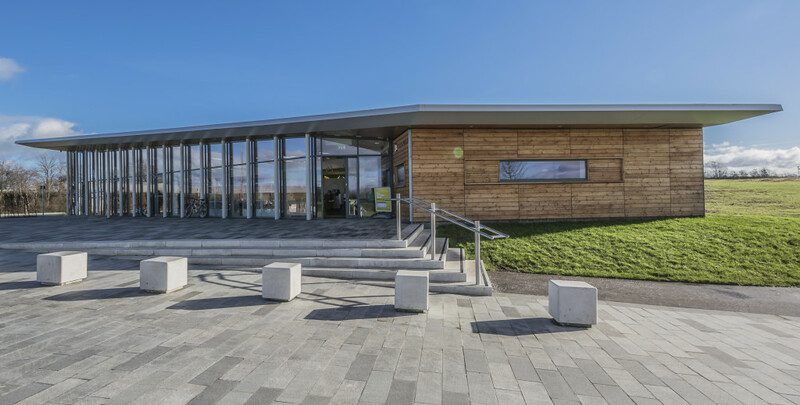 The Shop/Reception where we used a continual suspended linear profile system and feature lighting round the Reception desk. 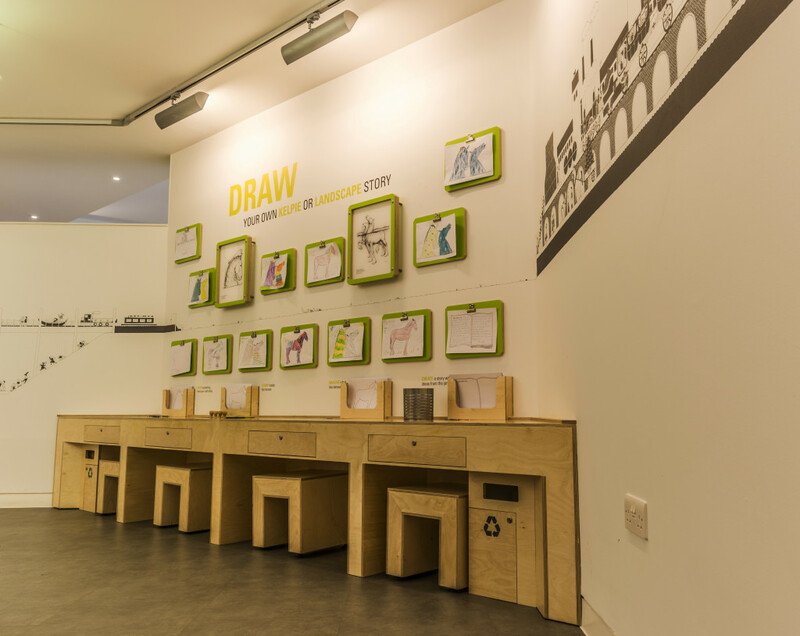 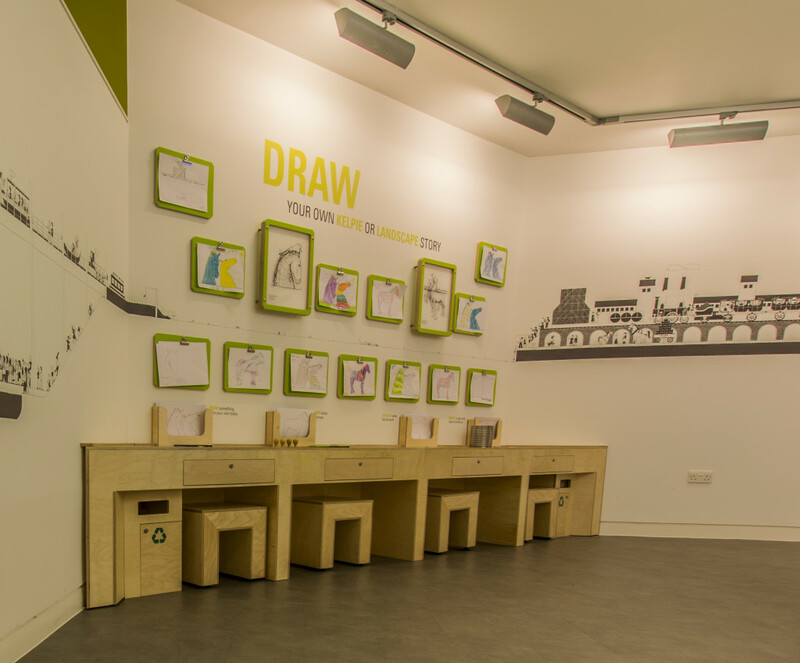 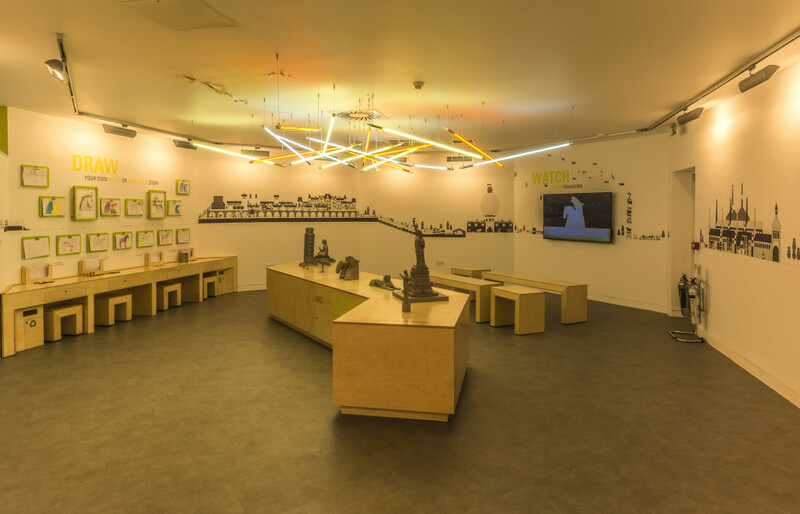 The exhibition is a combination of track mounted wall washers and suspended coloured stick lights. 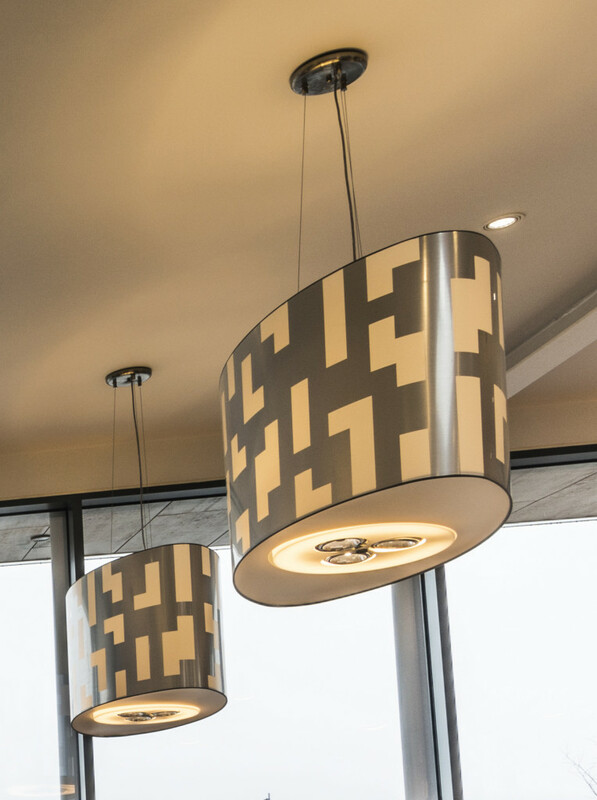 The suspended luminaires in the Café are bespoke. 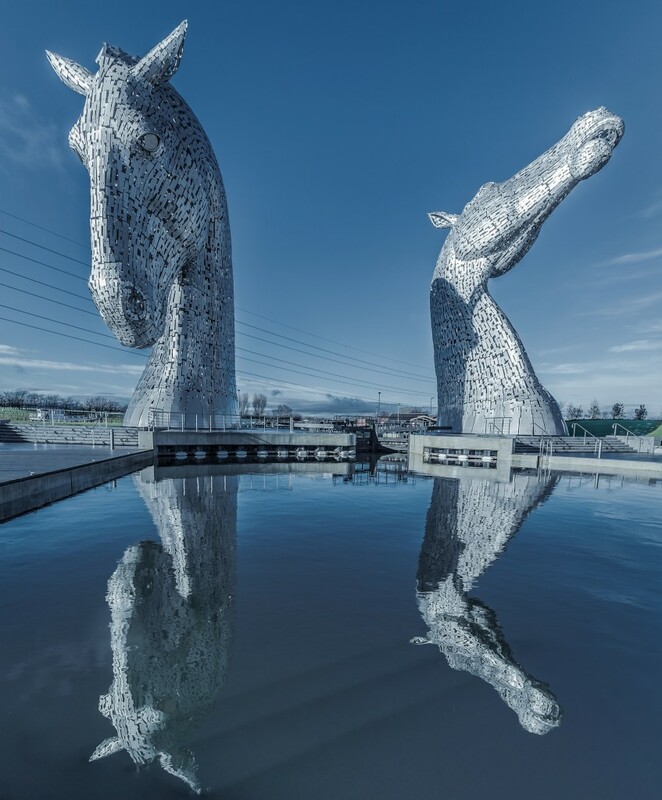 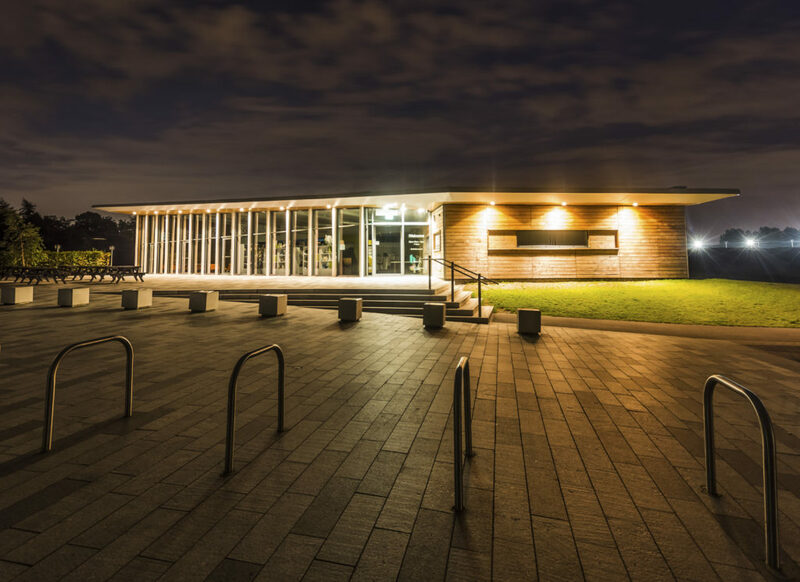 Designed in conjunction with the Architect, we manufactured these LED fittings to replicate the finish of the metalwork on the Kelpies.